The LG G Flex is an NFC phablet with a curved 6-inch HD Oled display. The G Flex runs Android 4.2.2 ‘Jelly Bean’ and features a 2.26GHz Snapdragon 800 quad-core processor, along with 2GB RAM and a 13 megapixel rear camera. 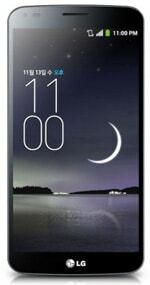 The banana-shaped G Flex will be released first in Korea with availability in other markets to be announced later.